South Carolina is behind us, and while the video above could be seen as well-worn in an era of instantaneous impressions and ADHD punditry, I find some of the things I didn't realize myself saying last Friday surprisingly relevant. Even among students in a state whose college's have had a recent reputation as among the least politically-active in the country, there were certain signs emerging last week that portended the surprising result seen in Newt Gingrich's resounding victory in Saturday's primary. 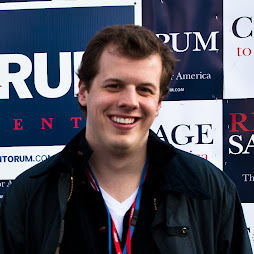 With college Republican leaders affiliating themselves and involving themselves with the Gingrich campaign, there are signs that the Romney campaign is, across the board, less able or willing to accommodate young voices and talent into its operation. For Newt Gingrich to be successful going forward, he'll need volunteers to make the case for why he's uniquely qualified to be the Republican nominee at this confusing juncture in American politics. Mitt Romney desperately needs to reinvigorate his own candidacy, while Newt Gingrich will have to count on trusted individuals within myriad constituencies across the country to sell his often controversial brand to fellow voters and overcome whatever perceived "negatives" he already has and will to continue to rack up. If what I witnessed in South Carolina is any indication of how the race is trending for the coming weeks, Gingrich will have an easier time accomplishing his necessary task.